Ever thought of a place, not too far away from civilization but still a gateway to peace? I, for one, am always on the lookout for such places. 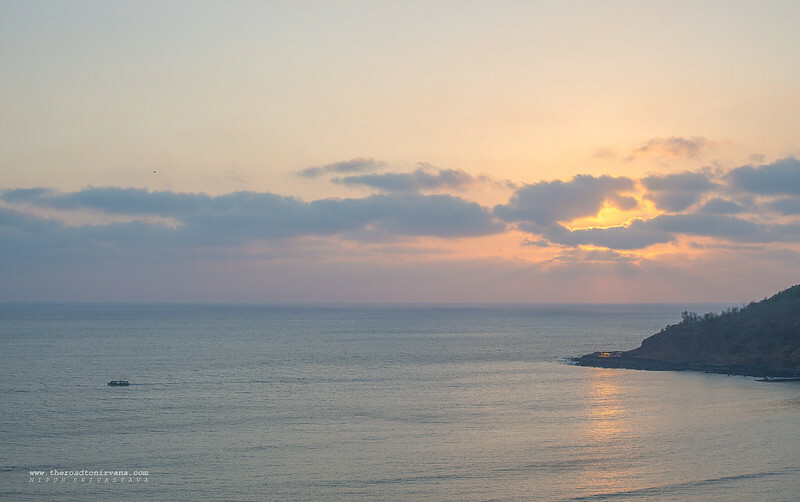 Sometimes, between the rigorous audits and the worrisome tax calculations, it is all but natural to get that feeling – the feeling to get away from it all. Even if it’s just for that one night two night sojourn. Murud is a small coastal village. The thing about Murud is that one doesn’t even realize how close it is from the highly commercialized and run down beach towns of Kashid, Alibaug and the likes. A meager 12 kilometers down the road from Kashid, lies Murud and the adjacent hilltop village of Janjira. 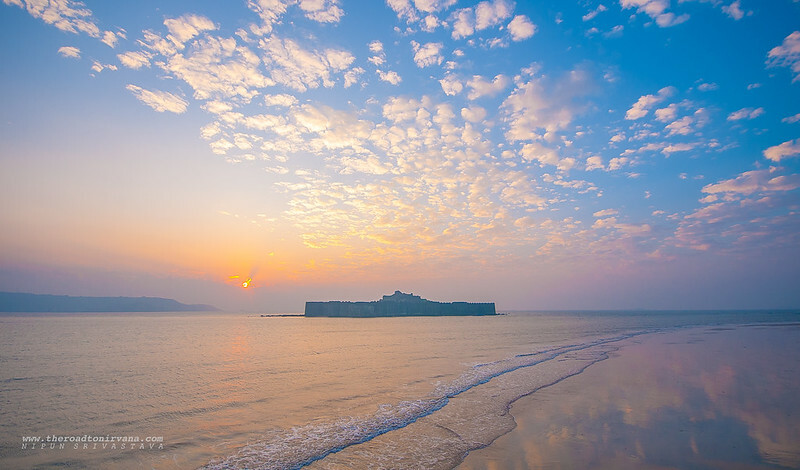 The main reason for travelers coming here is the day visit to the Janjira fort. Standing tall in the middle of the Arabian Sea, it is visible from the Janjira village (also from the road which leads to the village). 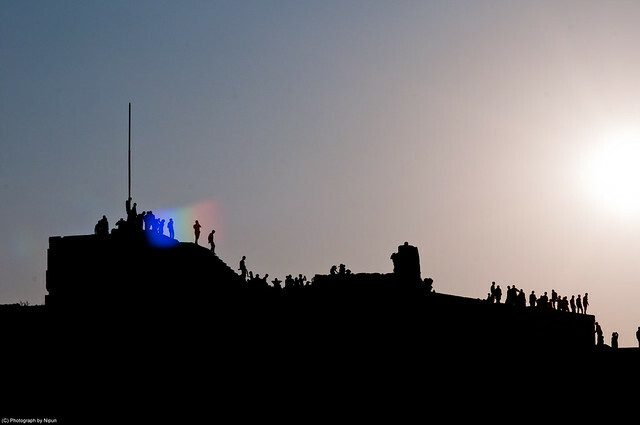 The fort is a brilliant sight during the evenings of January and February as the sun sets just beside the exterior walls. 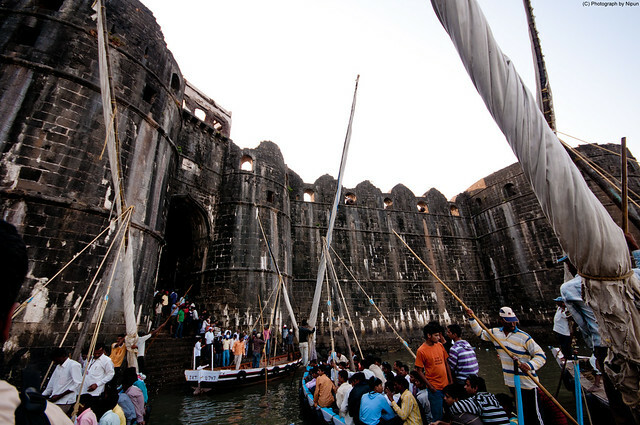 One can take a 20 minute sail-boat ride across the waters, which will reach you to the entrance of the Janjira fort, which is when one notices the innovative construction techniques used while building this medieval building. 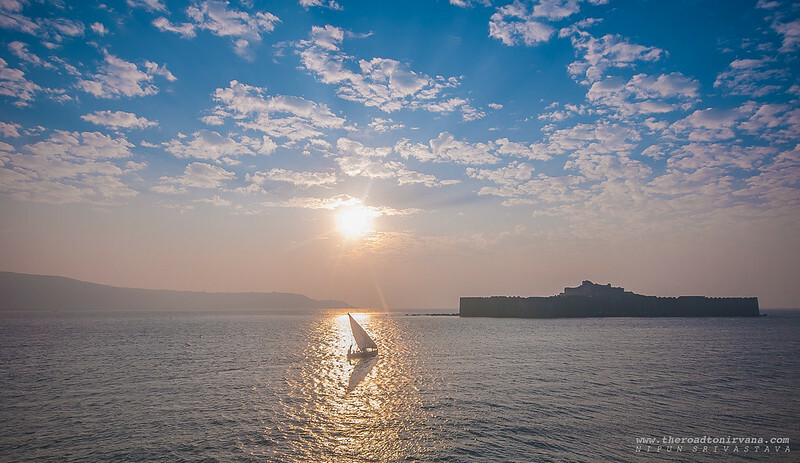 On the way to the fort, in the boat (while you are hanging on for dear life), your boatmen will give you a very brief historical overview of Janjira fort. In the most flamboyant of ways, one of the boatmen will narrate to you the story behind the mammoth water locked structure. This narration is free of cost of-course but the boat ride will cost you 20 INR to go to the fort and come back. The monologue lasts around 10 minutes and the second boatman then doubles as your guide at the fort – a further setback of 20 INR to your pocket i.e. if you choose to go with the guide. You can of course head out onto the fort by yourself. Negotiating the fort interiors isn’t too much of a hassle. Just remember, the last boat to the mainland leaves around 6pm. Our group of bikers chose to head into the fort ‘with’ the guide. 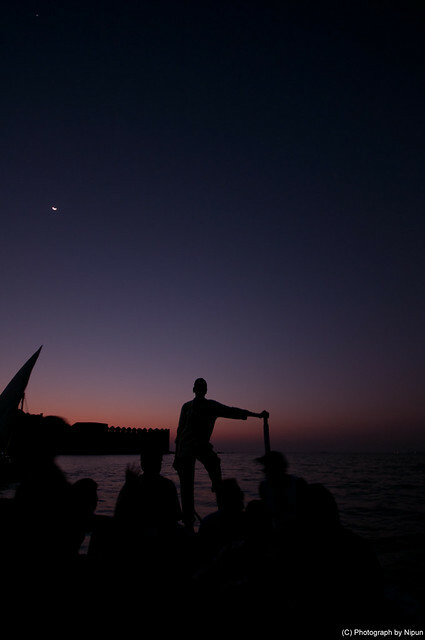 After the precarious boat ride across the waters, you can’t help but think to yourself ‘this better be good’. Good, it is for sure. The mammoth arched entrance greets you out of the blue (quite literally, read: innovative architecture). The entrance to Janjira fort is built at such an angle that at first glance from afar, one can’t notice it. A feature incorporated to make it difficult for marauding powers to get on to the fort floor. ‘Jump!’ said one of my friends as I tried to gain balance on the boat while trying to change lenses on my camera, as the boat load of passengers hopped onto the jetty. All of us managed to get off the boat without slipping on the wet staircase under the tall stone entrance. A reasonable feat, if you ask me. As you walk into the fort, a sharp right marks your entrance. The journey begins from the fort floor and takes you around the various verandahs and gun posts present in the fort. It is not very well preserved, this fort. Of the many things you will see inside the fort walls, by far the most intriguing are the two fresh water ponds, which are quite noticeable. The queens palace lies in ruins, though is still a sight. Midway, during the tour, the guides will tell you that you have 15 minutes to climb to the top of a bunch of flights of stairs to the top of a flag tower and come back in time for the rest of the tour. We climbed up; the view from the top is nothing short of breath-taking. Quite literally, huffing and puffing we reached the top of the tower, totting our cameras every step of the way. From the top, one can see all four corners of the fort and standing there gives you a semblance of the sheer size of the Janjira fort. 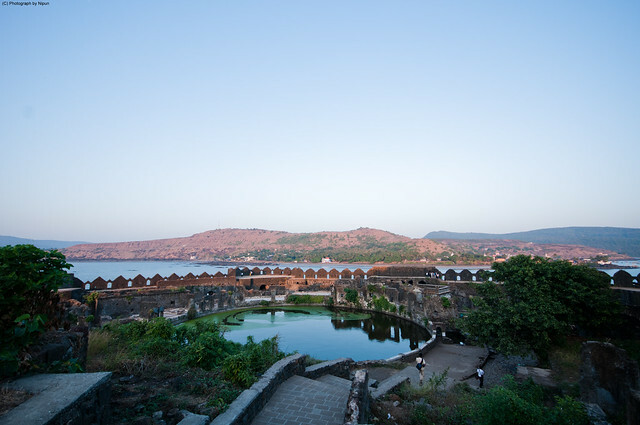 Depending upon the time of day when you visit the Janjira fort, the light will play out. 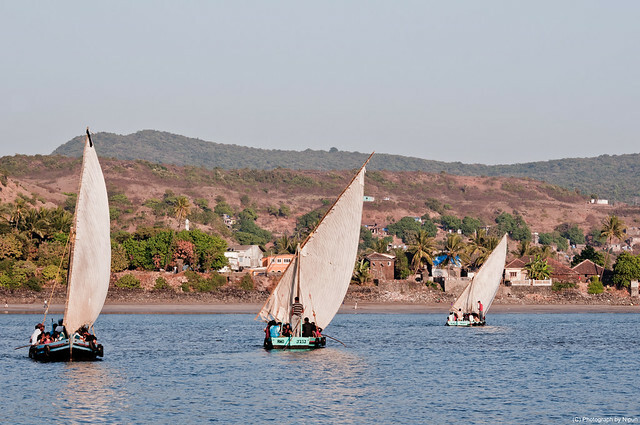 I suggest that one spend the day getting to know the town of Murud, probably take a stroll through the market and then head to the fort around early evening. 3pm would be the perfect time to queue up for the ferry ride to the fort and then you can catch the sunset. In this case you will probably reach Murud town by nightfall. There is another small beach right next to the jetty from where boats leave for the fort. It’s not a particularly clean beach and neither is it very beautiful but like most things in life, it’s beautifully imperfect. When I came to this place the first time, I chanced upon this stretch of sand and walked onto it with my camera. Within a minute, I was surrounded by children from the village nearby and I got some of my best silhouette shots ever. I don’t think this beach even has a name! For the photographs from this beach: Click here. The food situation here is decent. Murud is not particularly known for its cuisine but rest assured, you WILL find some tasty, taste bud tingling and semi-hygienic grub here. It’s a fishing village after all! 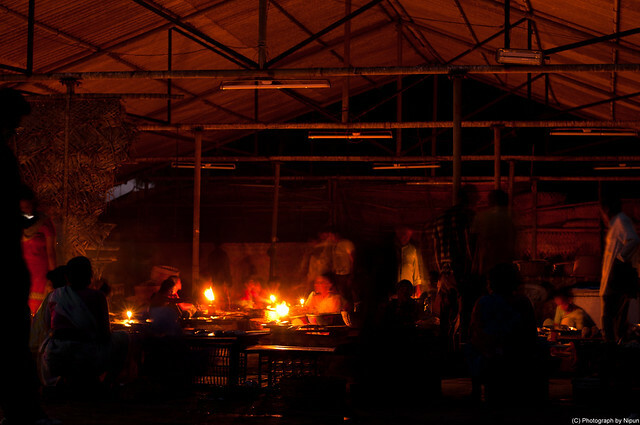 Head to the fish market after sunset and buy yourself some fresh catch. Give it to a local and let ‘em cook up your dinner. Golden Swan beach resort is an up-market and beautifully put together hotel/resort/restaurant situated on the beach, near the start of the town when you are coming from Kashid (or Mumbai). The food here is very good and hygienic as well, decent vegetarian options are available too. If you plan to stay here, it will cost you anywhere between INR 3500 to INR 10,000, according to your choice of rooms and the number of people staying put. You will love the people here and the free roaming ducks too! For the budget traveller, there are quite a few small lodges and homes where home owners will let you share a room or two for a price. The costing for this type of accommodation can range from INR 300 to INR 700 depending upon the class of the place. There are some run of the mill hotels and lodges too but they are situated off the Murud beach and are honestly a bit of a turn off. So that is a choice you are going to have to make. 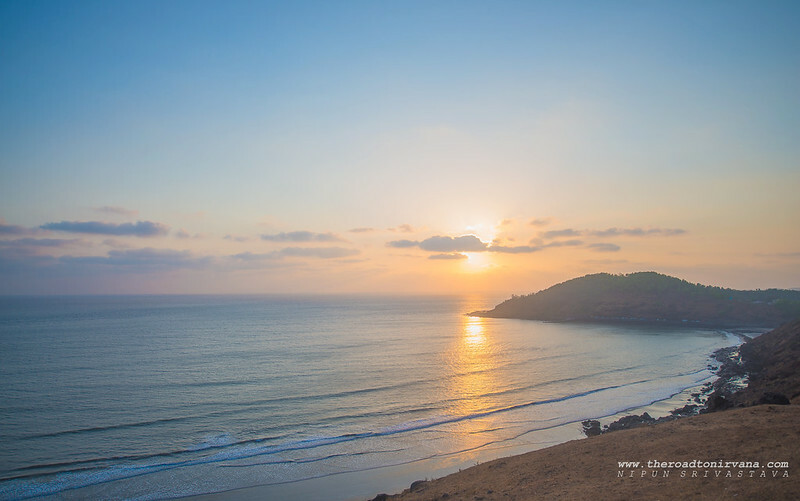 The beach at Murud would give you ample opportunities to lounge around doing nothing or well, whatever you may please! I loved the photo opportunities here. The nights are equally majestic with the stars lighting up the sea. Do take a mid-night stroll, it’s totally worth it. 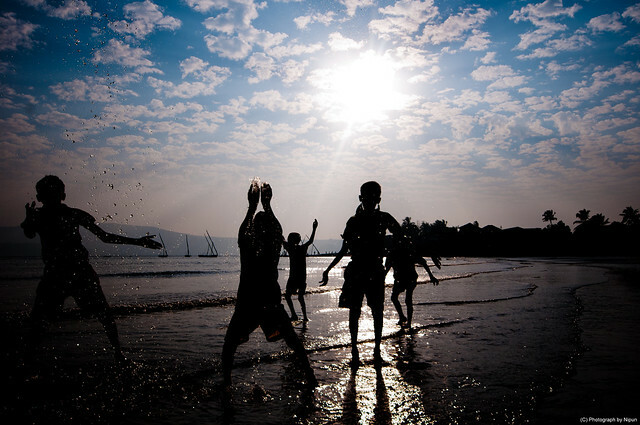 A weekend trip is enough time to take in most of what Murud and Janjira have to offer. For me though, it’s not so easy. I have been to the place thrice, once with friends, once solo and once with my lady but thrice is never enough! Take a bike ride. 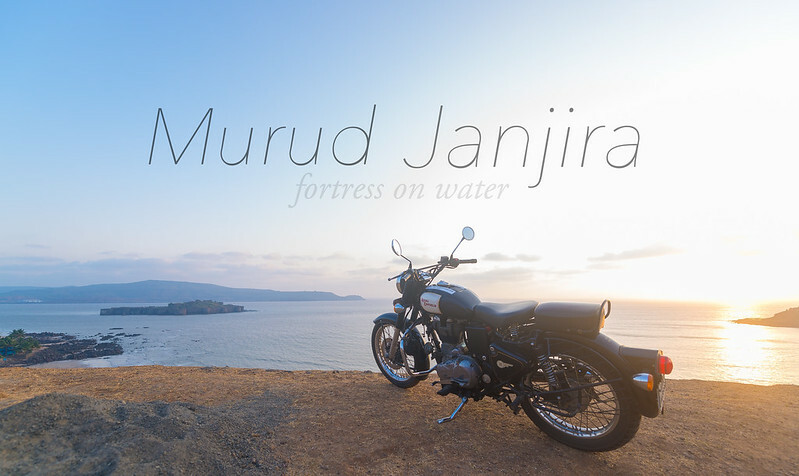 170 kilometres from Pune and less from Mumbai, the ride to Murud will take about 4 hours. Driving down is also a popular option. BUT. There is nothing worse than closed doors and rolled up windows of a car on serene roads. You could also take the bus. ST or State Transport buses will get you to Kashid where a change of buses will see you walking the streets of Murud in no time. Be warned, these buses are seldom in good condition and almost always leave a painful mark on your back. Though travel in ST buses has a different thrill and it is also the cheapest way to get around. However you do, do head out! This entry was posted on July 20, 2011 by Nipun Srivastava. It was filed under Motorcycle Trips, Motoring, Photography and was tagged with clouds, fort, motor, murud janjira, photography, sand, sun, Travel, water.